As a kid, there was no feeling more powerful than the weight of a NERF gun in your hands with the business end pointed at your best friend. A NERF gun in the '90s was as iconic as a Colt Peacemaker tucked into the belt of a gunslinger in the Wild West. With a long, very colorful history starting in the late '60s, these guys have been supplying kids—and dudes at irreverent tech startups—with guns loaded with foam-rubber ammunition, and they're still going strong. Here are some things you might not know about the masterminds who truly understand what it means to be a kid. Or an adult. 1. NERF has some killer old commercials. With Seth Green. Devon Sawa, Seth Green, and The Monkees?! it’s like a constellation with the amount of goddamn stars up in here! Dad jokes, right? True story or total pipe dream? Seriously, this is a thing. 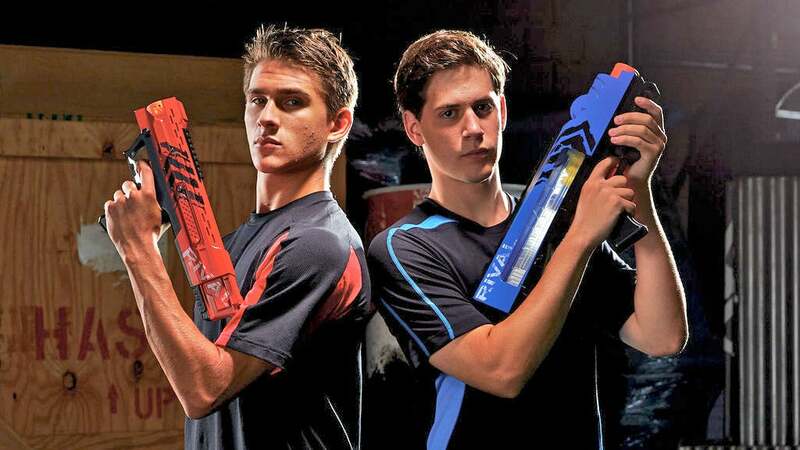 There is a large warehouse facility that allows the team to test different NERF prototypes in environments where people would typically play with NERF blasters, including basements, bedrooms, cubicles, or dorm rooms. Most NERF guns hit around 30 mph, but the NERF N-Strike Elite Hail-Fire Blaster can shoot out darts at the staggering speed of 50 mph. That's quite literally as fast an adult lion or a reasonably sick Mexican free-tailed bat. By the venerable Hail-Fire, the same one that can hit 50 mph out of the muzzle. It has eight magazines with 18 darts each, giving it a total of 144 darts. Thanks to electricity, it can fire off all 144 in under 30 seconds. In 1970, the NERF ball was introduced as the "world's first official indoor ball." It was marketed as a 4-inch ball that one can, "throw indoors, [but] can't damage lamps or break windows, [or] hurt babies or old people." NERF’s wheelhouse was all about sports for a very long time. Surely you remember the basketball hoop? In 1991, the screaming football called the Vortex debuted alongside the NERF bow and arrow. It wasn’t until the following year that the NERF Sharpshooter became the very first NERF dart blaster. We're using the word "adult" lightly here as NERF apparently considers anyone over the age of 14 able to handle the the all-new “NERF Rival” brand of blasters an adult. These guys can shoot ammunition up to speeds of 75 mph, which is a hell of a lot faster than those regular darts you're getting shot at your face. We should see them sometime this fall. It’s made out of some pretty wild stuff: a polyester resin that reacts with another compound in the presence of CO2, which then becomes a freakishly light polyurethane material. This means that a NERF dart won't puncture the skin or, like, kill someone if you shoot them in the face. Enough NERF darts have been sold in the past five years alone to circle the earth four times. 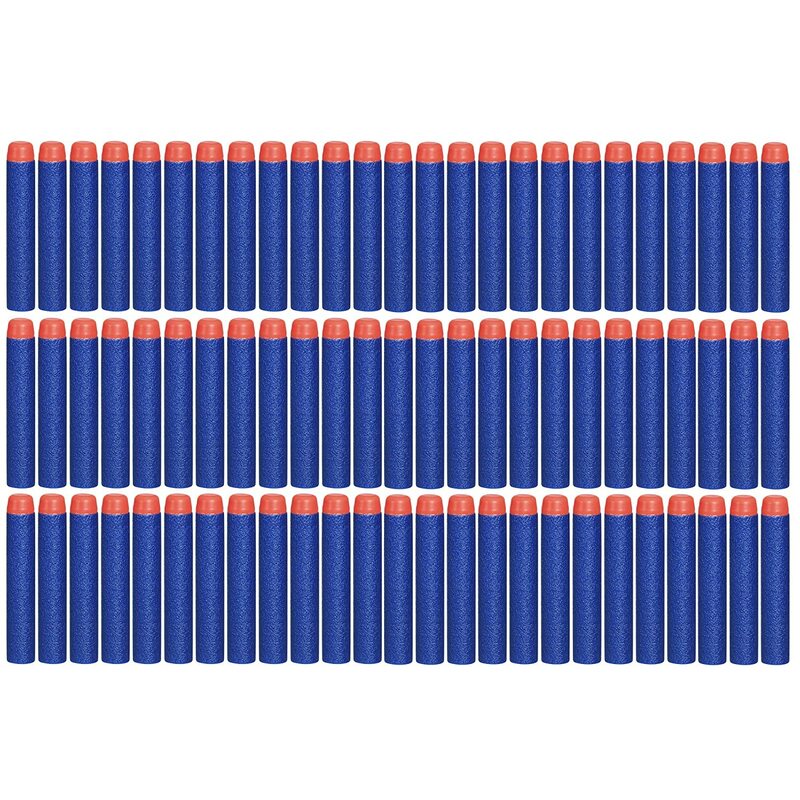 Some complete nut did the math and found the staggering, complete number of darts NERF has ever made. 4,007,500,000 since the dawn of darts. Wow. Did you know Hasbro, NERF’s parent company, also owns Super Soaker? (Which were originally called Power Drencher!) It’s like NERF has a monopoly over fun—which is interesting, because Hasbro owns the game Monopoly. According to the Internet, NERF is a slang term for the foam padding used in off-road racing. 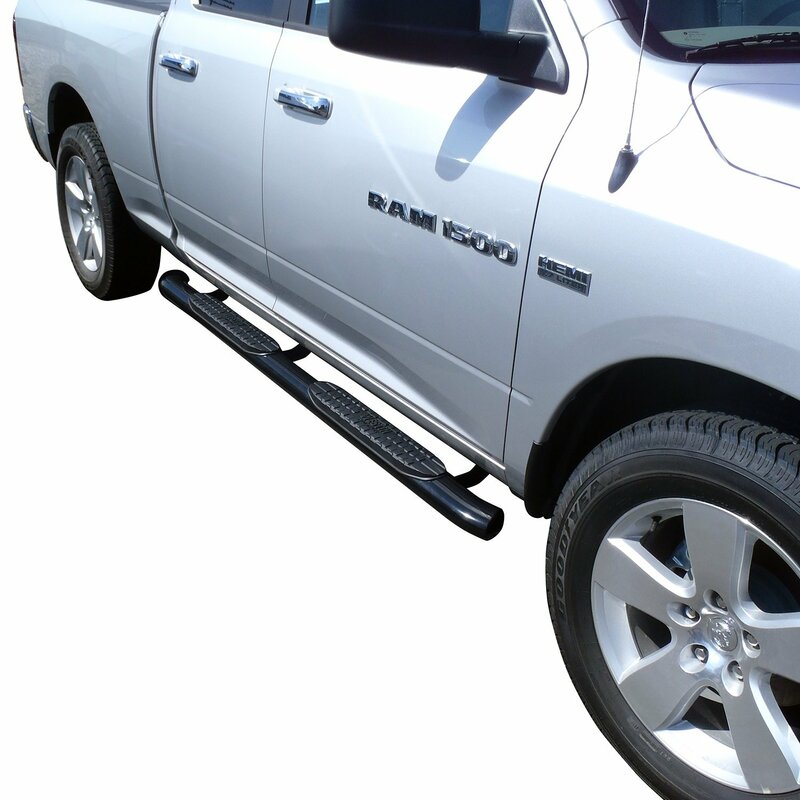 The foam-covered bars, often called “NERF bars,” were placed at the front of the trucks used to push racers to the starting line to prevent damage to the cars. We're not sure if this is an acronym or a backronym, but it also stands for Non-Expanding Recreational Foam. The classic NERF catchphrase “It’s NERF or Nothin’!” ended up being an ideology I closely followed until I learned of the power of a swift backhand. However, NERF has had almost ten slogans, including: “There's Only One NERF,” "Get Real. Get NERF,” "It's NERF Or Nothin'!" “Accept No Substitutes,” "Enlist, Engage, Enforce," "Bend The Rules Of Battle," “The Wetter The Better," and "Light It Up!" Stories from the set of Up in the Air report Ol' George as a huge prankster, reportedly "playing with NERF balls on set" and throwing them at normal-woman-in-child's-body, Anna Kendrick. Ryan Gosling recounts a similar experience during the shooting of Ides of March when he said, "There was a certain point we had a NERF gun behind the camera and if he didn’t like a take, he’d shoot." Clooney's got good taste in tequila and toy guns. Way more. They make NERF balls, frisbees, thunderbows, drones, footballs, battle axes, and hopefully one day the much-needed NERF Nuke. Expensive? Sure, but don't act like you wouldn't spend your hard-earned paycheck on this sick NERF N-Strike Vulcan (with 25 dart belt and 25 sonic micro darts) or the NERF N-Strike Longstrike CS-6 Dart Blaster with can shoot at a range of over 35 feet. Jeremy Glass is a staff writer at Supercompressor and has three NERF guns in his desk at work where he shoots an unassuming Ethan Wolff-Mann in the face on the daily.